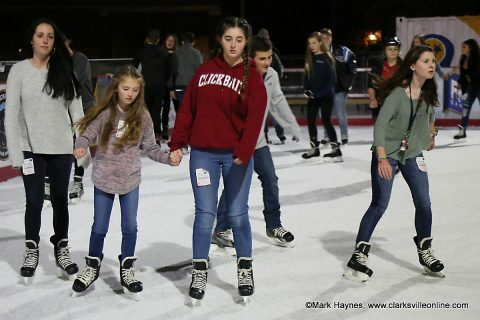 Skates are included in your ticket price of $10.00 and sizes range from a toddler size eight to an adult size 12. Skate sizes are two smaller than your street shoe size, but don’t worry, the Ice Crew will help you determine the correct size. Be sure to dress warm and we will see you on the ice! 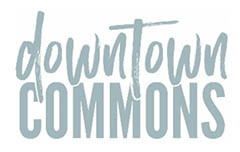 Be sure to like Downtown Commons on Facebook for additional events, the full session schedule, and other details. Downtown Commons would like to thank our leading sponsors; F&M Bank, Century 21 Platinum Properties, Platinum Realty and Management, and Blackhorse Pub & Brewery. Meet members of the Austin Peay State University  Men’s & Women’s Basketball teams, Spirit Squad, and the Gov. 5:00pm-7:00pm – Santa will be in the sleigh to take pictures. Be sure to bring your own camera. An evening of Christmas classics performed by Clarksville High School Choir. Deliverance Outreach Temple Choir will be performing at 7:30pm. For additional information or questions, just contact Paula at 931.245.3366 or .